Children with developmental disabilities who have severe behavior issues respond better to medication if it is paired with training for their parents, researchers say. In study of 124 children ages 4 to 13 with pervasive developmental disorders, including autism, and significant behavioral problems, kids were prescribed the antipsychotic drug Risperidone, sold under the brand name Risperdal. In addition, some of the children’s parents were given regular training during the six-month study period to help them better respond to behavior issues. While children in both groups saw gains, those who benefited from the combination of medication and parent training experienced a wider range of improvements, researchers report this month in the Journal of the American Academy of Child & Adolescent Psychiatry. “Both groups — medication alone and combined treatment group — demonstrated improvement in functional communication and social interaction. But the combined group showed greater improvement on several measures of everyday adaptive functioning,” said Lawrence Scahill of Yale University who was the senior author of the study. Adaptive functioning skills can encompass everything from hygiene to managing daily routines, making it a significant real-world measure for families. “Decreasing these serious behavioral problems results in children who are more able to manage everyday living,” Scahill said. Noah, my younger brother, does not talk. Nor can he dress himself, prepare a meal for himself or wipe himself. He is a 42-year-old man, balding, gaunt, angry and, literally, crazy. And having spent 15 years at the Fairview Developmental Center in Costa Mesa, Calif., a state facility, Noah has picked up the con's trick of lashing out before anyone could take a shot at him. Noah's autism has been marked by "three identified high priority maladaptive behaviors that interfere with his adaptive programming. These include banging his head against solid surfaces, pinching himself and grabbing others," according to his 2004 California Department of Developmental Services individual program plan (IPP). Remarkably, that clinical language actually portrays Noah more favorably than the impression one would get from a face-to-face meeting. Despite the successful marketing of the affliction by activists and interest groups, autism is not a childhood condition. It is nondegenerative and nonterminal: the boys and girls grow up. For all the interventions and therapies and the restrictive diets and innovative treatments, the majority of very low-functioning autistics like Noah will require intensive support throughout their lives. If recent estimates of prevalence by the Centers for Disease Control and Prevention are accurate, then 1 in 150 of today's children is autistic. That means we are in for a vast number of adult autistics — most better adjusted than Noah, some as bad off — who will be a burden to parents, siblings and, eventually, society. We are largely unprepared to deal with this crisis. Got Sleep Questions? We Have a Webchat for You! Dr. Malow will be fielding questions on sleep issues affecting individuals on the autism spectrum and their families. This webchat is being held in tandem with the same day release of Sleep Strategies for Children with Autism: A Parent's Guide, the latest free tool kit published by the Autism Speaks Autism Treatment Network (ATN) and made possible by its participation in the Autism Intervention Research Network on Physical Health (AIR-P). The tool kit will be available for free download on the ATN's "Tools You Can Use" page. Join us, as we continue our FREE webinar series. This month we will focus on Group Instruction for Kids Who Hate Group Instruction presented by Anne Lau M.Ed., NCC, B.C.B.A. on February 28, 2012 from 4pm-5pm PST and again on February 29, 2012 from 12pm-1pm PST. This webinar will provide information on the deficits that many children with autism have and why these deficits prevent learning in group situations. It will describe some beginning goals and the procedures used to meet those goals in providing effective group instruction to early learners. Pediatricians fed up with parents who refuse to vaccinate their children out of concern it can cause autism or other problems increasingly are "firing" such families from their practices, raising questions about a doctor's responsibility to these patients. Medical associations don't recommend such patient bans, but the practice appears to be growing, according to vaccine researchers. Dr. Allan LaReau in Michigan stops treating families who refuse to vaccinate their children. 'You feel badly about losing a nice family,' he says. 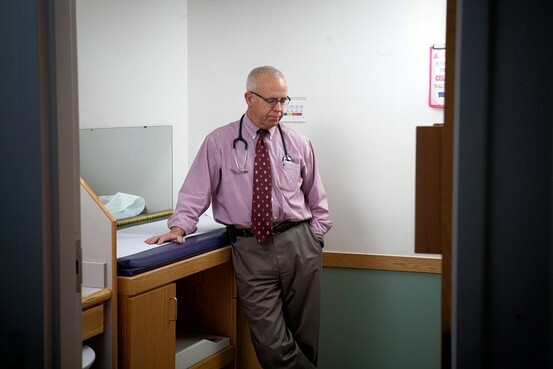 In a study of Connecticut pediatricians published last year, some 30% of 133 doctors said they had asked a family to leave their practice for vaccine refusal, and a recent survey of 909 Midwestern pediatricians found that 21% reported discharging families for the same reason. By comparison, in 2001 and 2006 about 6% of physicians said they "routinely" stopped working with families due to parents' continued vaccine refusal and 16% "sometimes" dismissed them, according to surveys conducted then by the American Academy of Pediatrics. The rate of diagnosis for autism spectrum disorders (ASD) is the same among all racial groups — one in 110, according to current estimates. However, a study by a Florida State University researcher has found that African-American children tend to be diagnosed later than white children, which results in a longer and more intensive intervention.The reasons for later diagnoses include a lack of access to quality, affordable, culturally competent health care, according to Martell Teasley, an associate professor in Florida State's College of Social Work who has conducted a comprehensive review of researchliterature on autism and African-American children. In addition, the stigmaattached to mental health conditions within the black community contribute to misdiagnoses of autism, and underuse of available treatment services. Autism itself seems to be responsible for the problems children with the disorder have in developing motor skills such as running, throwing a ball and learning to write, according to a new study. Previously, it wasn't clear whether these motor skill difficulties ran in families or were linked to autism, said the researchers at the Washington University School of Medicine in St. Louis. Webinar - Converting Sheltered Workshops To Employment Programs ThatGet People Real Jobs! Converting Sheltered Workshops To Employment Programs That Get People Real Jobs! February 21, 2012 2:00 to 3:00 pm (EST) Sheltered Workshops have been a hot topic lately. Many states are working hard to change their workshops to community-based employment. We can help! This webinar will share two important resources: Find out about Maine's Peer-Support Training and Mentor Program called It’s Your Life: Building Connections Through Work. They hired self-advocates who have real jobs to mentor and support people in sheltered workshops prepare for the transition into community work. Get tips on how to calm the concerns of people and their families who are worried about taking this big step. Learn about the Vermont Conversion Institute. This two-day training supports state teams to examine the issues of policy change, training, and culture-shift needed to foster the conversion of sheltered workshops to community-based employment services. Space is limited. Reserve your seat now at: https://cc.readytalk.com/r/vdfczahas7nk For questions contact Jennifer Sladen at jsladen@autismnow.orgor Toll free: 800.433.5255 Invited Speakers: Bryan Dague, Ed.D. has 25 years of experience in the disability field with the last 19 as faculty at the University of Vermont-Center on Disability and Community Inclusion. His work is focused primarily on inclusive employment for people with disabilities. Bryan provides training and technical assistance to supported employment programs and high school transition programs throughout the state of Vermont. Max Barrows is a young man with Autism and is supported by a family that believes in self-determination! He works for Green Mountain Self-Advocates as the Outreach Coordinator providing training and technical assistance to local self-advocacy groups. Max has been a peer support mentor for Hire Up, a group for self-advocates looking to improve their work status. Max is Vice-President of Self-Advocates Becoming Empowered (SABE), the national self-advocacy organization. In this position, he pays close attention to national disability issues, participating in many conference calls with other leaders. Alli Vercoe was one of the project directors for It’s Your Life: Building Connections Through Work. She worked for Cutler Institute for Health and Social Policy, Muskie School of Public Service University of Southern Maine. She recruited and supported five individuals with ID/DD as peer trainers to create this curriculum. They assisted the peer trainers in presenting their employment stories in a variety of mediums, including pictures and video. A Memoir of Marriage, Asperger Syndrome, and One Man's Quest to Be a Better Husband When he was 30 years old, David Finch's wife, Kristen, sat him down and asked him a series of odd questions: "Do you notice patterns in things all the time?" "Do people comment on your unusual mannerisms and habits? "Do you feel tortured by clothes tags, clothes that are too tight or made in the 'wrong material'?" "Do you sometimes have an urge to jump over things?" David's answers to all of these questions — and more than 100 others — was an emphatic yes. Kristen Finch had just given her unsuspecting husband a self-quiz to evaluate for Asperger's syndrome, a condition on the autism spectrum. Her own score was 8 out of a possible 200. David's was 155. "It was very cathartic. It was this unbelievable moment of self-recognition," David Finch tells NPR's Melissa Block. "It gave me such insight into who I am, how my mind works and why certain things have been such a challenge." In his new book, The Journal of Best Practices, David Finch describes how he and Kristen worked to overcome his compulsions and sometimes anti-social behavior. Click here to listen to the interview on NPR. A Mile In His Shoes is the story of Mickey Tussler, a young man with Asperger’s Syndrome and a golden arm. The manager for a local baseball team convinces Mickey to join the team. For the first time in his life Mickey is forced to interact with others as well as try and make friends with his teammates. The movie is based on a novel by author Frank Nappi entitled The Legend of Mickey Tussler, We caught up with Frank and interviewed him about The Legend of Mickey Tussler and his opinion of the movie. Check out the trailer above and the interview with Frank below. Click here to watch the trailer and read more. Click here to register and watch the webinar. What Is Squag? [skwag] is an innovative social platform designed specifically for tweens and teens on the autism spectrum. Our goal is to facilitate the opportunity for organic relationships; driven by kids, supported by parents. (What could be better?) An interview about Squag. When he was 30 years old, David Finch's wife, Kristen, sat him down and asked him a series of odd questions: "Do you notice patterns in things all the time?" "Do people comment on your unusual mannerisms and habits? "Do you feel tortured by clothes tags, clothes that are too tight or made in the 'wrong material'?" "Do you sometimes have an urge to jump over things?" David's answers to all of these questions — and more than 100 others — was an emphatic yes. Kristen Finch had just given her unsuspecting husband a self-quiz to evaluate for Asperger's syndrome, a condition on the autism spectrum. Her own score was 8 out of a possible 200. David's was 155. "It was very cathartic. It was this unbelievable moment of self-recognition," David Finch tells NPR's Melissa Block. "It gave me such insight into who I am, how my mind works and why certain things have been such a challenge." In his new book, The Journal of Best Practices, David Finch describes how he and Kristen worked to overcome his compulsions and sometimes anti-social behavior. Click here to listen to the story on NPR. Or read the journal article here. Webinar - "Strategies for Success: Using Technology to Communicate withyour Developmentally Disabled Child (Part 1)"
Click HERE to watch Part 1 of the webinar.